Let’s get visual! We know that Pinterest is perfect for your DIY projects, or finding great recipes, or organizing our ideas. It can also be used for myriad of educational purposes. As teachers we can share ideas with students or have students organize and share their own ideas. Create a Pinterest account for your class or have your students create an account https://www.pinterest.com/. Either create a board or have a student create the board and Pin away. Share the link for the newly created board and explain how the board is being used within the classroom. Here are a few ideas to get you thinking: Remember, whatever your subject area or student age, this tool can be used. Create a board of French art Deco Ad Posters. Assign each student a poster and to research. Have the students then post their work. Create a board that deals with cardiovascular health. Have students pin posts related to improving cardiovascular health. Create a board for your classroom needs and share with the parents at the beginning of the school year. 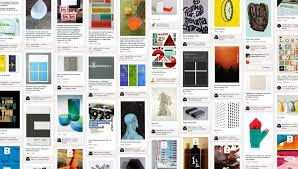 Share a screenshot of your pinterest board and in a short paragraph tell me how you are using it for your teaching or with your students.